CANbedded LIN Communication has already been in existence for more than 15 years now and has proven itself in some 100 projects. Over 40 combinations of hardware and compilers are supported, and upon request additional combinations will be available. CANbedded LIN Communication is a LIN communication stack and consists of standardized software components. They support the LIN specifications 1.3, 2.0, 2.1/2.2(A) and ISO 17987:2016 as well as SAE J2602 and multi-channel LIN configurations. The components are optimized for code size and execution time to reduce their resource requirements. The Local Interconnect Network (LIN) was developed to round out a collection of automotive protocol standards, but it has been adopted in other areas such as automation engineering as well. 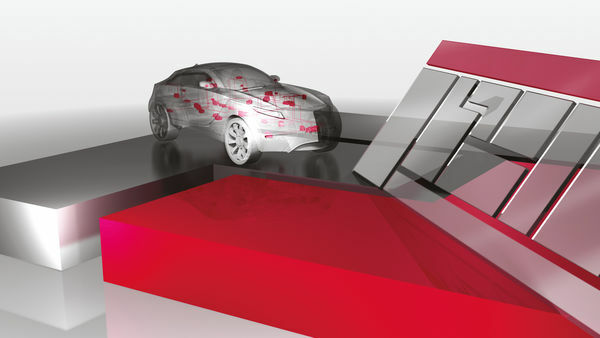 The focus is on cost-effective communication networks for ECU subsystems with low data rates. LIN therefore perfectly supplements existing bus protocols. Typical application areas are the networking within the door or the seat of a motor vehicle. Configuration of the LIN driver to the properties of the specific ECU e.g. oscillator frequency, UART, etc. The source codes of the LIN software components are compiled and linked with the application. Vector’s LIN simulation and analysis tools (e.g. CANoe.LIN and CANalyzer.LIN as well as CANoe.Scope) are available for integration, analysis and for test purposes. For physical bus access one of Vector’s XLI-Interface is available; serving as universal serial bus interfaces for the LIN bus. Timing control of the LIN software components is achieved by having tasks called periodically by the application or an operating system. Therefore the LIN driver does not require any auxiliary timers. consistent integration with CAN components. In addition, it may be combined with MICROSAR software. As a result, this makes it easy to implement CAN-LIN gateways, which are usually realized as master network nodes. DTL Raw is used if the data already exist in segmented form (routing of CAN TP messages on LIN). DTL Cooked accepts assembled diagnostic data and segments them according to LIN bus requirements (Diagnostic Service Data Units). LINdiag is a very compact implementation of UDS 14229.1 diagnostics for LIN slave ECUs. It receives requests, routes them to the appropriate service and constructs the response in interaction with the application. This involves internal management of a diagnostic buffer to monitor for data consistency and overruns. To send and receive requests and responses LINdiag needs the LIN Transport Protocol, which is included in the delivery. SAE J2602: As a supplemental option, support of the SAE J2602 “Recommended Practice” specification is available for LIN drivers.